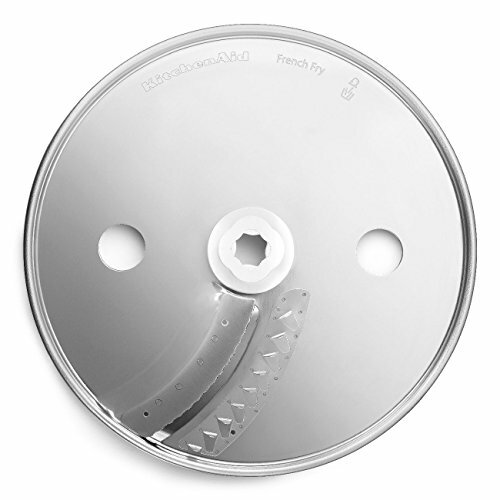 Complete all your kitchen prep work with ease using this KitchenAid French fry disc. The French fry disc accessory fits in the top of the work bowl to help you quickly and easily make homemade french fries from potatoes. It can also be used to slice other firm fruits and vegetables such as zucchini, carrots and apples. It fits the KitchenAid 13 Cup Food Processor (models KFP1333 and KFP1344).